The London Stock Exchange Group’s (LSEG) FTSE Russell has confirmed it will launch an indicative index for the most actively traded digital assets, in a bid to establish an industry standard for the market. 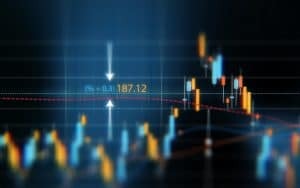 In a statement, FTSE Russell said that the indicative index will be calculated every 15 seconds with data sourced from selected digital asset exchanges vetted and approved by DAR Data Services. FTSE Russell will also provide VWAP for all the main 100 digital assets taking raw prices from the exchanges. “Digital assets are a fast-growing segment of the market and we are delighted to be working with DAR. The new indicative FTSE Digital Assets Index will help the market evaluate a benchmark and assist in the creation of industry standards. It will also offer much needed transparency and create greater awareness for investors interested in this new asset class,” said Mark Makepeace, non-executive chairman for the information services division at LSEG. FTSE Russell will establish an advisory group which will work to define the assets that are eligible for the index, and will publish these in due course, but the index provider added that the digital asset market includes exchanges and trading venues that trade cryptocurrencies, tokens and coins. “DAR is a recognised expert in this new and rapidly evolving market. The FTSE DDS Digital Assets Reference Price takes trade prices from select vetted digital exchanges worldwide. Using data science and a robust methodology, we can create a clean price for potential future use by participants of this market,” Doug Schwenk, chairman of DAR Data Services, concluded.